During my recent visit to Hyderabad, I got the opportunity to see the Falaknuma palace. I had learnt that the palace is closed for public but I managed to get the permission to visit the majestic structure atop a hill. The grand palace is built in the shape of a scorpion and is still the property of Nizam. I was still under the spell of Salar Jung museum, having seen all those rare paintings, statues, pieces of art and weapons gathered from all over the world. 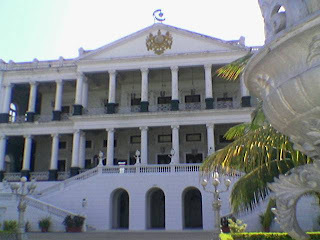 But even after that the opulence of Falaknuma left me awe-struck. The electricity fittings, the Jacuzzi (in 1880!) and amazing bathrooms, the famed dining table where 100 guests could dine at a time, the 200-odd lavishly decorated rooms and halls, the collection of jade that is unrivalled in the world apart from the great library. 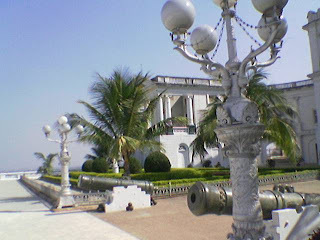 The Prime Minister of Hyderabad Nawab Viqar-ul-Umra had built this palace. The architecture is Italian. The Sixth Nizam Mir Mahboob Ali Khan had bought it from him and it served as royal guest house. 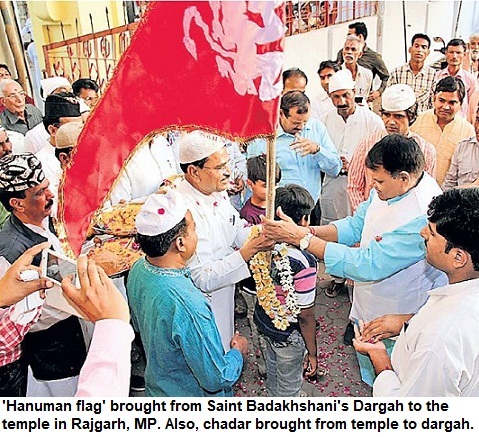 The descendants of Asif Jahi dynasty have decided to turn it into a hotel. One of the senior security officer was wearing a egg-sized turqoise. We had tea and snacks in the palace. We were tired after seeing the huge palace and had a brief walk outside. The hill gives a panoramic view of the City of Hyderabad. And we left wondering about the bygone era, discussing the positive and negative traits of the rulers of princely India.